We can suggest suppliers for everything you may need including flowers, decor, audio/visual equipment and entertainment to ensure your wedding day is just as you have always wanted. Q. What does the hire fee include? 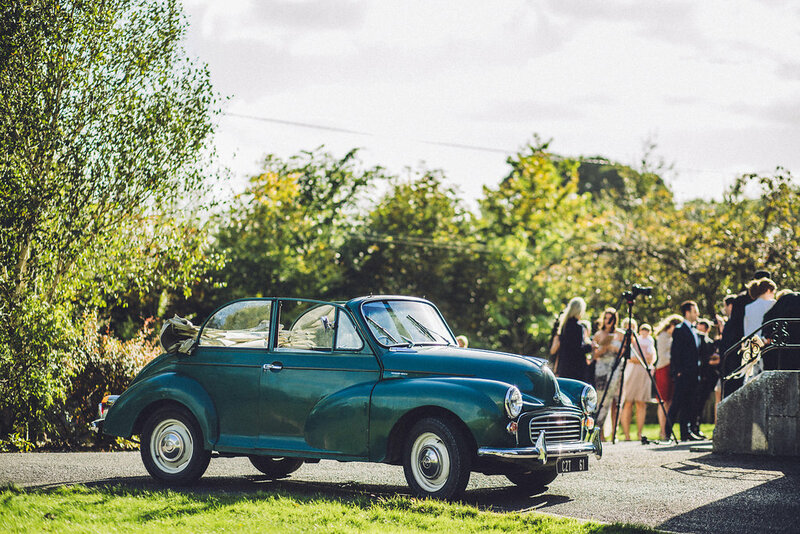 The Hire Fee guarantees exclusive use of the Barn, the Garden Room, Walled garden and Boat House by the lake for you and your Guests on the day of your Wedding, it also covers the use of the Barn for brunch on the day after the Wedding. Also included in the Hire Fee is the use of the Courtesy Bus to transport Guests between venues on the Day and to drop guests back to their accommodation on site when the Barn closes. Q. Does the Boathouse have power? The Boathouse has full power, you can plug in your Ipod/Laptop to play music if you wish. Q. Is there a minimum requirement to provide catering to guests at the Boathouse? Yes there is, we require minimum numbers of 40 guests in order to offer the Services of our Pizza chef at the Boathouse. Q. How many pews in the Chapel? We have a total of 32 pews, 16 pews each side, the seating capacity is approximately 180. Q. What length and width is the aisle in the Chapel? Q. Is the Chapel heated? The Chapel is heated with a large Industrial Gas Heater that runs the length of the Ceiling. Q. Is there a PA system in the Chapel? Q. Is the Barn heated? Both sides of the Barn are heated with large Industrial Gas heaters suspended from the ceiling. We also light the Stoves in the Barn and the Garden Room if required. Q. What are the dimensions of the Barn? Q. When is the Barn and Chapel available for decorating? The Barn and Chapel will be available from 3pm until 6pm the day before your wedding so you can add your own personal touches. We have a collection of accessories, that should you choose to use, you are welcome to do so. Q. What size are the tables in the Barn? Q. How do you arrange the tables for the meal? We will arrange individual tables of 8 reflecting the numbers of your wedding guests. When you arrive the day before to add your own touches to the Barn, Chapel etc you can then move them around as you please. Once provision is made for the comfort of your guests and service of our staff then we are happy with you changing the tables and chairs as you please. Q: Are children allowed in the Barn at night? In accordance with the Intoxicating Liquor Act of 2008, Children may remain in a licensed premises between the hours of 10.30am to 9pm only (10pm from May to September inclusive). We are happy to recommend Local babysitters, should you require one. Q. How do I book accommodation on site? Please email your accommodation request to hello@boutiquecamping.ie or alternatively you call the office during business hours on 044 9226679. Eleanor & Margaret will be delighted to assist with any queries you may have. Q. Do I allocate my guests to on-site accommodation? No – you can let Margaret or Eleanor know which accommodation you would like to reserve for both families and the bridal party. Once this is taken care of, your guests are at liberty to book their own accommodation. Q. Do I need to bring anything if I’m staying overnight? Q. Are there power points in the yurts? Q. Is the accommodation suitable for guests to stay in all year round? Yes, All Units of Accommodation are dressed immediately in advance of your guests arrival. Mount Druid Staff will light your stove on the evening of your stay and keep it topped up until 1.30am. We do not recommend the Boutique camping accommodation for children under 3 years old due to the presence of the stove. Q. Does Mount Druid look after the Catering or is there an option to bring in outside caterers. We have our own Industrial Kitchen and team of Chefs in the Barn, who are happy to cater for your dietary requirements. We do not allow outside catering for the day of your Wedding. Q. How do I choose my menu? At the beginning of each year, we host a Wine and Canape tasting evening at Mount Druid with our Sommelier, this is an informal event which allows you to sample all the Wines and a Selection of the Canapes offered for your Wedding. We do not offer a Formal Menu Tasting as we have 4 different Menu options. Q. Can we supply our own wine/Alcohol? Mount Druid have a Wine Supplier that is happy to work with you in respect of wine choices for your wedding. Patrons are prohibited from consuming alcohol other than alcohol supplied by Mount Druid whilst the bar is open. This will be rigorously enforced and Mount Druid reserve the right to stop the wedding if this condition is not adhered to. Q. What food do you provide for children? Q. What are the options for next day catering? Breakfast is available the day after your wedding, served from 9am to 11am in the Barn (subject to a minimum number of 40 guests). On check in we ask guests if they would like to be included for brunch and then we add it onto their overnight rate. All guests look after themselves so there is no extra expense on the Bride & Groom. Alternatively, we have a communal space on site with full Kitchen Facilities. All Venues on site are within walking distance of each other but we also have pathways that people can drive on, which are lit up at night. We have large Carparks to service both the Tin Chapel and the Barn. We also have a Courtesy Bus on site, which is available for the use of guests to be transported between venues and back to accommodation onsite when the Barn closes. Q. How do I get to Mount Druid via public transport? Q. Is there a local taxi I can call? Q. Is Mount Druid wheelchair accessible? 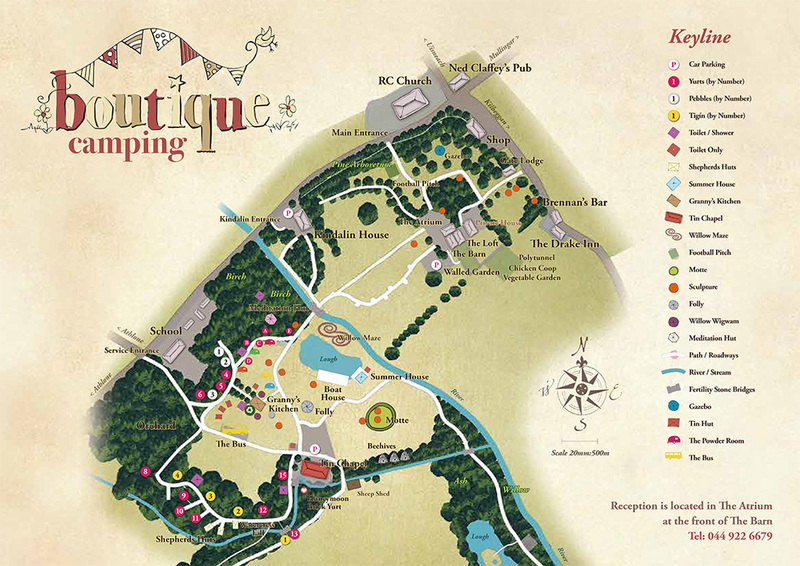 Yes, All venues on site and most of the units of Accommodation are wheelchair accessible, with disabled access Toilets positioned at the Boathouse and in the Barn. Q. Do you have credit card facilities? We have a Debit/Credit card machine in reception to pay for accommodation but not in the bar. There is no ATM in the village. Q. Do you allow fireworks? Q. Is there a Babysitting service Available. No – we do not offer a Babysitting service, however, we have no issue with Guests bringing their own sitter. Q. Where can I charge my phone/camera. All Venues (The Boathouse/The Barn and communal spaces have power points where you can charge appliances. Q. What time is checkout? All guests must vacate their accommodation by 12 noon with the Gate closing at 12.30. No outside suppliers allowed unless prior approval granted by Mount Druid. If approved – All outside suppliers must provide their own insurance and power supply. Check out the newest member of the Mount Druid family. Meet “Morris” our new Morris Minor. Please ask in the wedding office for details.